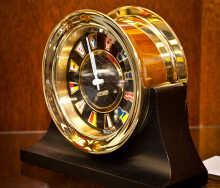 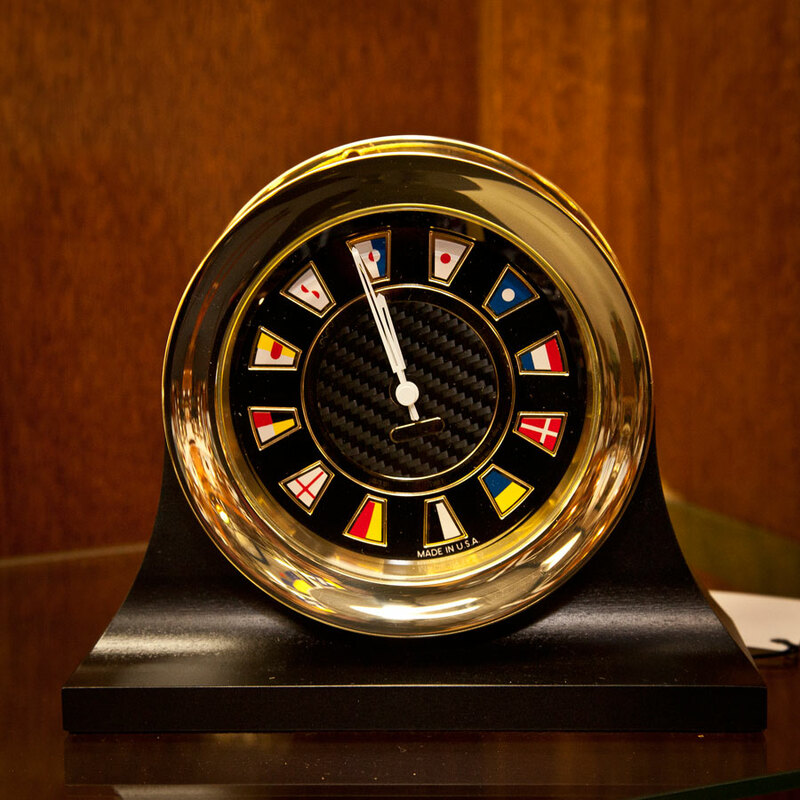 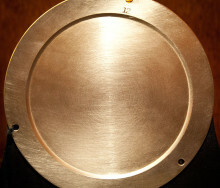 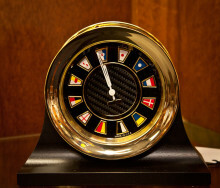 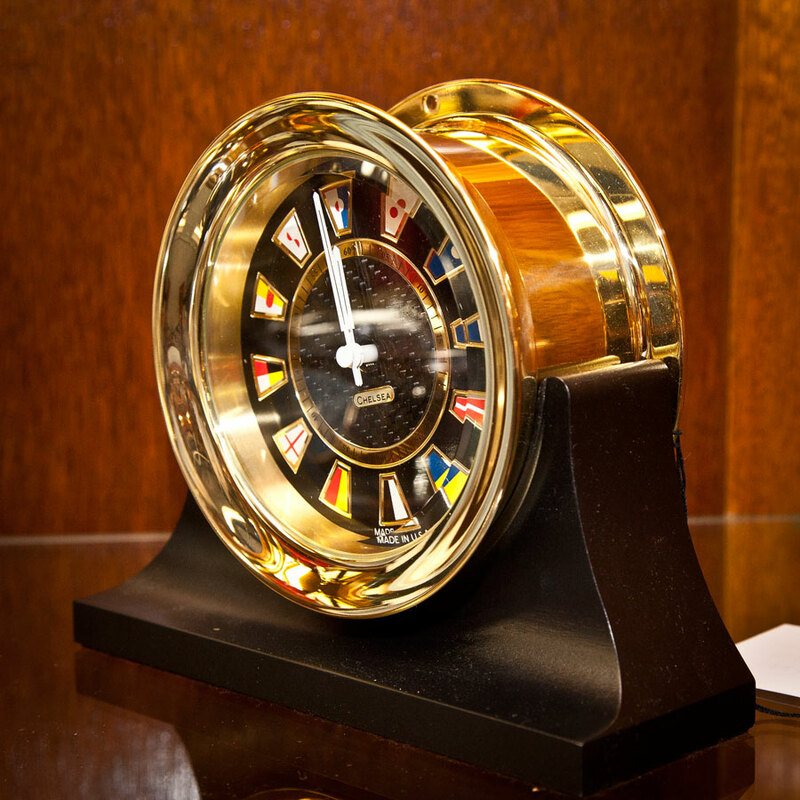 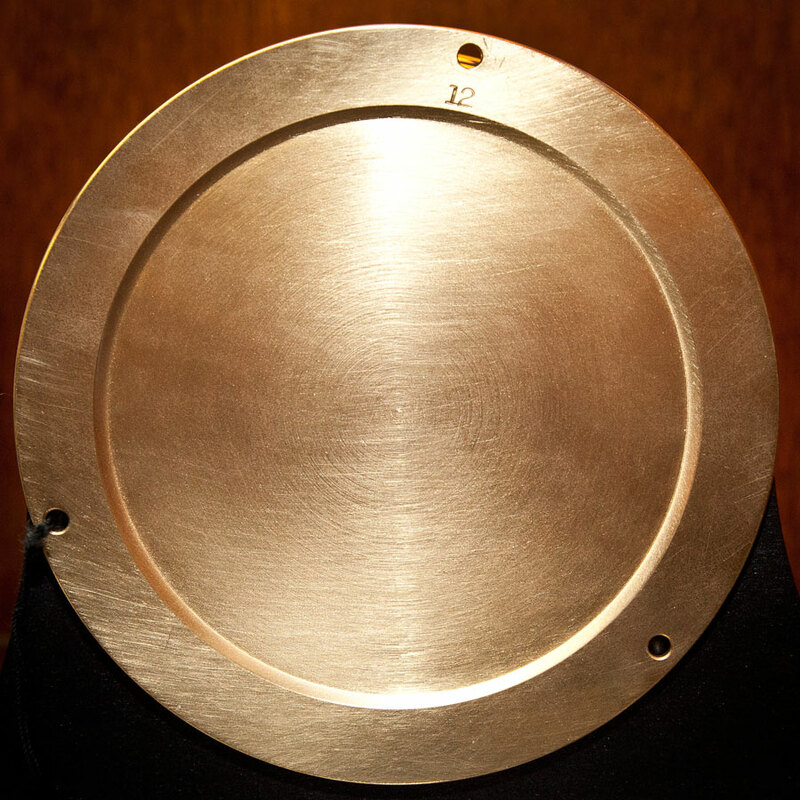 The Carbon Fiber Flag clock with brass finish features a precision etched carbon fiber dial with richly-colored enameled nautical flags representing the numerals one through twelve. 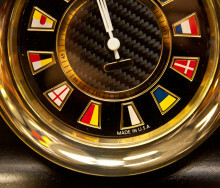 Stylish sport hands add to the dramatic look of this exceptional timepiece. 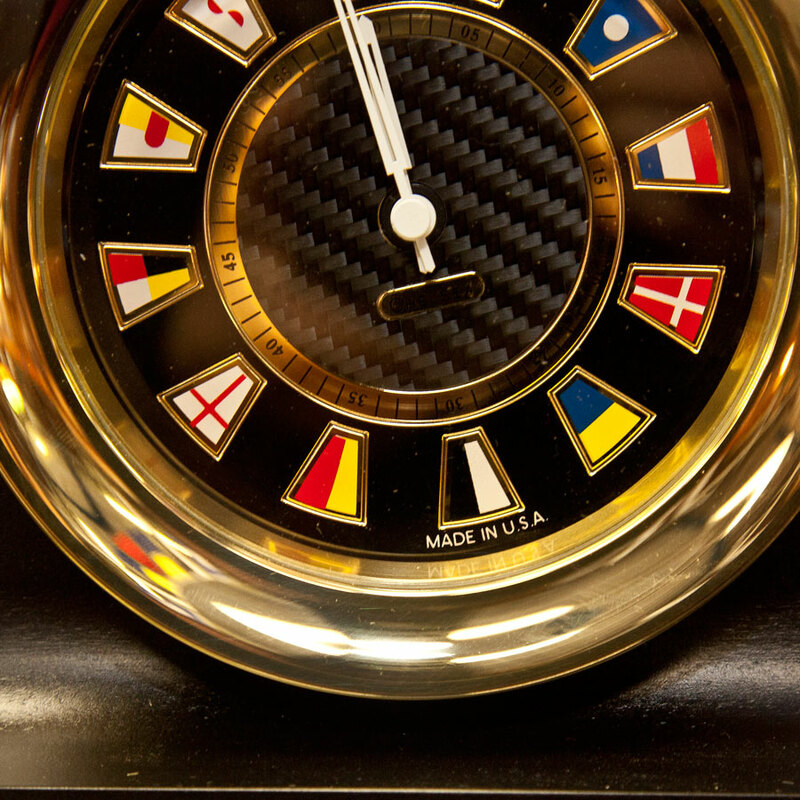 We pack and ship worldwide….click photos below for better viewing….